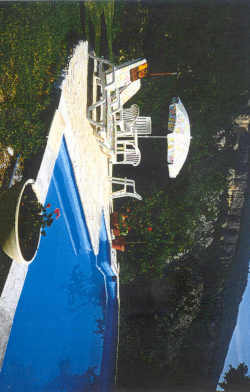 An inviting qiet cntry villa with spectacular vies and a pool. 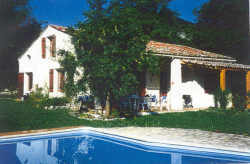 Situated ina relatively unexplored part of Provence and yet within 60 minutes of Nice, Cannes and Italy for day trips. The house snuggles on a hillside overlooking the hamlet of Le Champ. 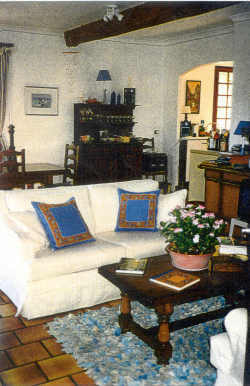 It is private and quiet and 5 kms from the village of Entrevaux which has all facilities, shops, post office, restaurants, hotel etc. Entrevaux is a 2000 year old Roman town with a citadel, nesatled among terraced olive groves under an eternal blue sky situated on the river Var 70 kms inland from Nice. 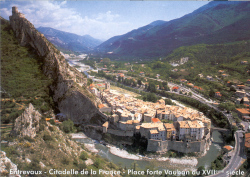 It is served year round by train and bus which runs from Nice to the inland city of Digne. The property is situated 5 kms from Entrevauxz and the area is very scenic and provides river rafting, horse riding, tennis, mountain climbing and hiking for those with a sense of adventure. At the same time it is an easdy drive for day trips to Italy and the Riviera coast or up to the mountains. Balance to be paid - 6 wks prior to arrival.